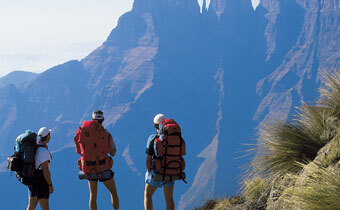 The Drakensberg offers so much in its many villages, dramatic views, in its valleys to explore, trails to hike, people to encounter and sites to visit, that you do need a good few days to take the best of it in. 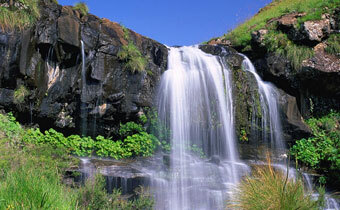 Set within the magnificent Blue Grotto forest, the Drakensberg Canopy Tour is guaranteed to take your breath away. The forest is home to over 150 species of birds including the rare Bush Blackcap. Led by trained guides as you glide between platforms perched in trees and on cliff faces, allow your senses to flood with the timeless atmosphere of the forest. The inspiring nature of the majestic Drakensberg, the ancient indigenous forest, waterfalls and the cascading stream make this an opportunity not to be missed. 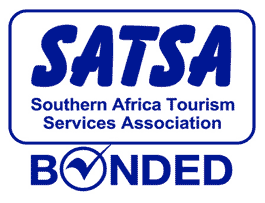 The Canopy Tour experience lasts approximately two and a half hours and costs R450 per person. This includes all equipment, guides, transport, refreshments and a light lunch afterwards. Bookings are essential. This is a fascinating insight into the large raptors of the Drakensberg. 6 days a week, guests are thrilled by the aerial antics of these massive birds as they are put through their paces in dazzling flight displays. Everyone leaves with a deep sense of wonder and awe at these majestic birds. Weather dependent, show is at 10h30am Saturday to Thursday. Enjoy a phenomenal flight over the stunning Drakensberg, taking in the various moods and aspects of these timeless mountains. A variety of trips are available, including a thrilling mountain landing where passengers can enjoy a glass of sparkling wine overlooking our amazing valley and up to the soaring heights where only eagles dare. 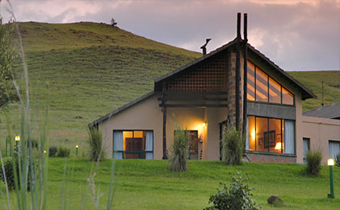 What better way that to combine your trip to the Drakensberg with a relaxing, revitalising visit to a health spa and experience KwaZulu Natal at its finest? Health resorts offer the latest holistic health and beauty treatments and techniques designed to rejuvenate weary bodies and minds. 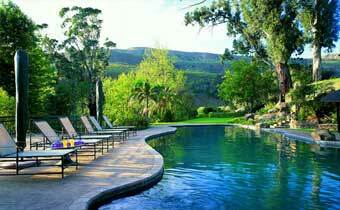 One of the most enjoyable activities in the Drakensberg is wine tasting. 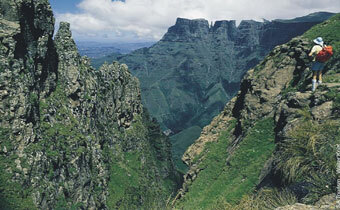 The Drakensberg Mountains climate provides and similar environment to that of the cape allowing grape vines to thrive. Royal Natal National Park is renowned for its spectacular scenery and fabulous mountain trails which explore the heart of this KwaZulu-Natal nature reserve in South Africa. There is also a lake in which fishing is allowed and there is also a curio shop. The Midlands Meander in the heart of KwaZulu-Natal, is a collection of arranged routes that offer visitors hospitality in truly beautiful surroundings, outstanding accommodation, conference and wedding facilities, fascinating local events, fabulous restaurants, revitalising outdoor activities and over-the-top adventure sports, historic landmarks, wildlife conservation, and best of all "shop-till-you-drop" unique arts and crafts. The Drakensberg Boys Choir is representative of the multi-faceted cultures of South Africa. They created a new trend in the international choral scene that transcends the conventional. With a unique style of diversity – Bach, Beethoven, Freddy Mercury, African, Jazz, Folk, etc,they perform it with excellence and aplomb. The Choir travel extensively, both nationally and internationally, performing more than 100 concerts each year. Their next shows will be from the 6 till the 8 December 2013.